While I hope you enjoy browsing my online portfolio, these images are designed to be seen and displayed as large format fine art prints. The level of detail, color, and impact that comes across in a 20x30 inch print offers a visual and emotional depth that you can continue to appreciate for years. I use the most up to date digital SLR systems, and professional inkjet printing processes to ensure both incredible quality and permanence. To purchase a print simply click the purchase a print link found next to each image. All orders are processed through a secure Paypal server. If you prefer to pay by check, please contact me by using the email link below the image. 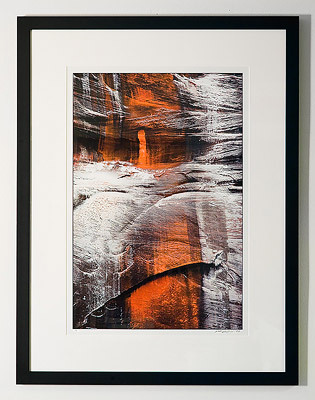 My prints are made on Hahnemuhle Baryta Rag Paper, which has a deep color range and a lightly textured semi-glossy surface. This combination is certified by the Wilhelm Imaging Research Institute to last over 100 years without signs of aging when properly displayed (framed behind UV protective glass or acrylic). So you, and your children, can expect to enjoy my art for over a century.